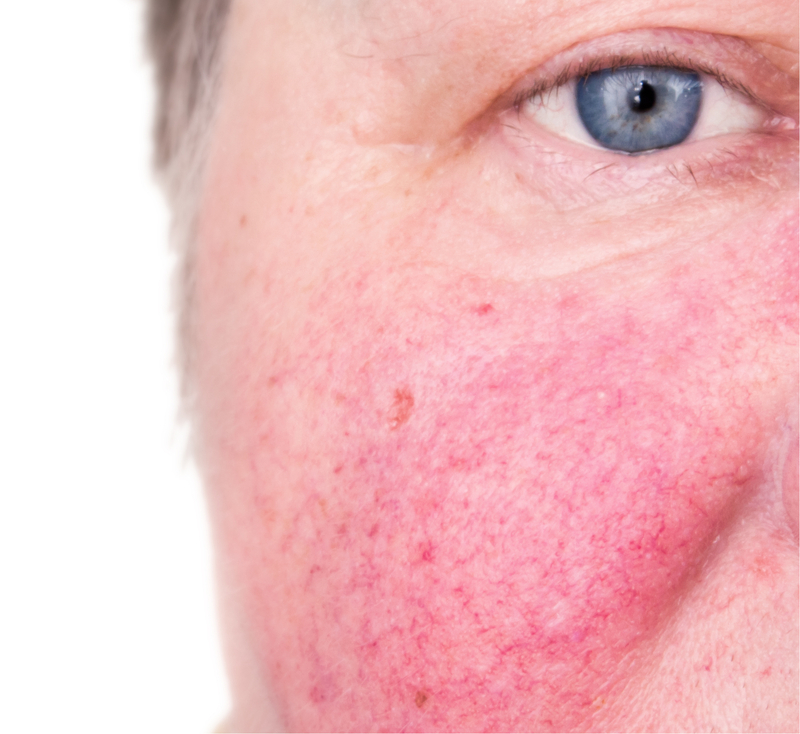 Rosacea is a chronic red rash. Rosacea used to be called acne rosacea, but it is not a form of acne. Rosacea can be limited to a rash or, in its most severe manifestation, can actually cause misshapenness on the face, particularly affecting the nose. Many people experience a worsening of the symptoms of rosacea when they are overheated, experiencing stress, eating spicy food or consuming alcohol. Depending on the individual case, there are various treatment options our practitioners may employ, including topical and oral medications. With years of experience treating rosacea, our office has a lot of success helping our patients be rid of this condition. We are here to answer any questions you may have about this condition.